When I was in college, not that many years ago, care packages were a big deal. They were few and far between; and when the unicorn finally did arrive, it disappeared almost as quickly as it materialized. I remember crowding around a box filled with someone's mom's homemade chocolate chip cookies, or stashes of candy and toiletries, or rows of packages of instant ramen. For us kids, tucked away among the cornfields of rural Ohio, a good hour's drive away from the nearest city, these were boxes full of treasure. When I recently heard about Co-Ed Supply, the first thing I thought was I wish they'd been around when I was in school! 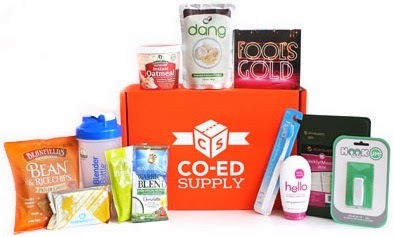 Co-Ed Supply is a care package subscription geared towards college students. For $20 a month including shipping, they'll send your favorite strapped student a box filled with seven to nine healthy snacks, personal care items, and entertainment. Upgrade to the Deluxe box and, for $35 including shipping, deliver 12 to 15 dorm room essentials. Not bad at all, right? You sign up for a three-month sub, either Classic or Deluxe, and get 50% off the entire sub price. Co-Ed Supply, in turn, donates a portion of the proceeds of your sub towards sending over 100 care packages to foster youth in college through the Rise Above Foundation, a Massachusetts-based nonprofit. If you needed justification to indulge yourself with or to gift another sub box, you should find it in this paragraph. 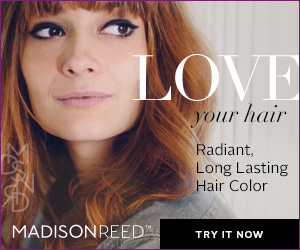 What better way to share the love this V-Day? If you're ready to sign up for your own care package, click on any of the Co-Ed Supply links scattered through this post, select a three-month subscription, and enter code LOVECLASSIC for the Classic box or LOVEDELUXE for the Deluxe box. What do you think of Co-Ed Supply? And how are you sharing the love this Valentine's Day? This post does not contain affiliate links, referral links, nor other forms of advertising for compensation. All opinions expressed herein are my own and never affected or influenced by sponsorship. For full disclaimer and disclosure details, click the disclosure tab above.